Even wondered why that pizza you made tastes nothing like the ones from the pizza shop? It’s not about the dough. Nor is it about the sauce. 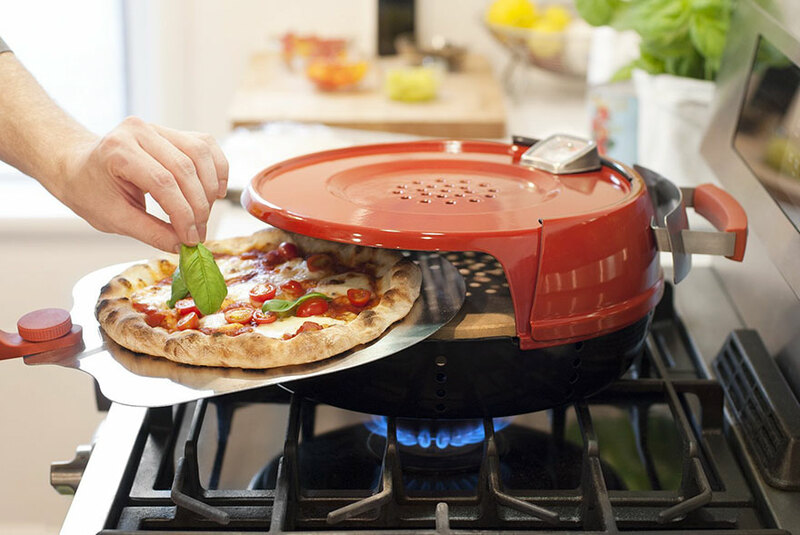 The trick to a perfect pizza is the oven. 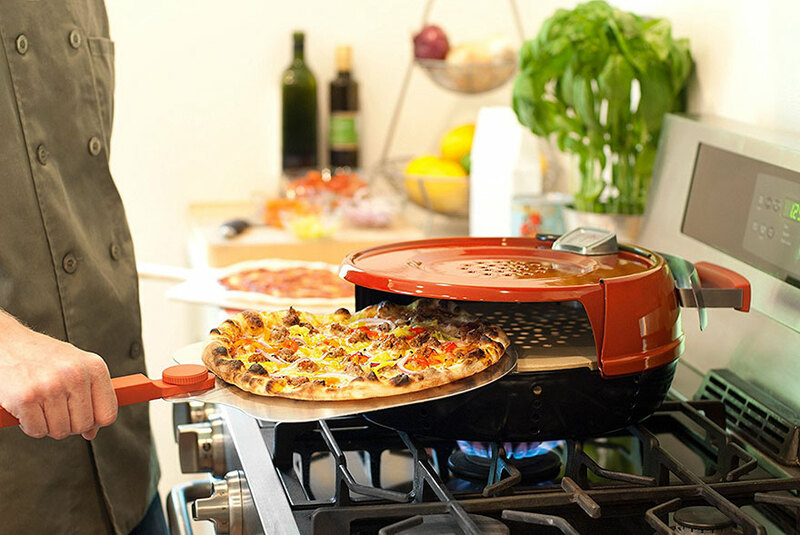 Sadly most of us don’t have the money (or the space) for a proper pizza oven, but thanks to the Pizzacraft Pizzeria Pronto Stovetop Pizza Oven, available on Amazon, everybody can now make fresh pizzas at home no matter how small your kitchen might be. 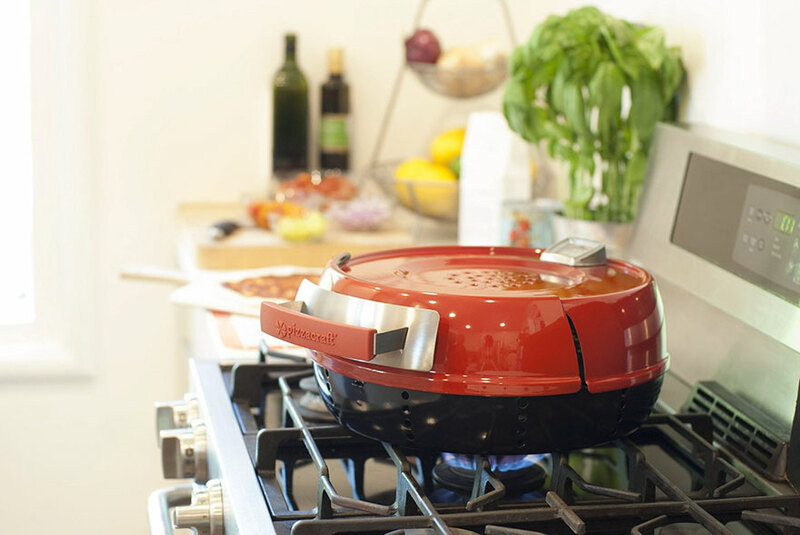 The oven sits above the gas burner on your stove and can generate heat upwards of 600 degrees, which is more than most conventional ovens can manage. 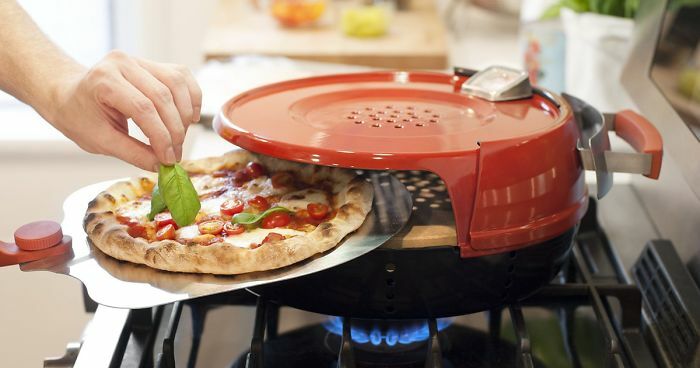 Pizzas only take six minutes to cook, so even though you can only make one at a time, the handy little oven can make as many as five in as little as 30 minutes. 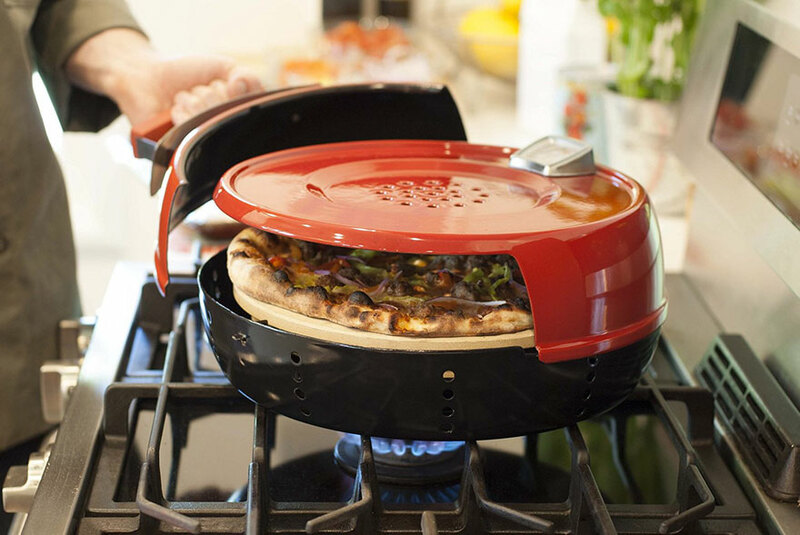 Perfect for pizza parties! The "key to perfect pizza" is the ingredients. If you heat garbage to 600 degrees, it's just hot garbage. And I can cook homemade, 'restaurant quality' pizza in my oven in 12 minutes.